I have almost always stayed away from color challenges or even just color inspiration in general because I thought it would be too difficult to create something. Silly, I know. 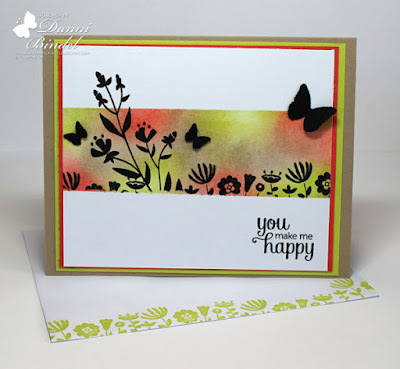 Lately I've been trying to do a variety of cards and techniques instead of all the things in my comfort zone so I decided to play around with color. I love color. I really, really do! 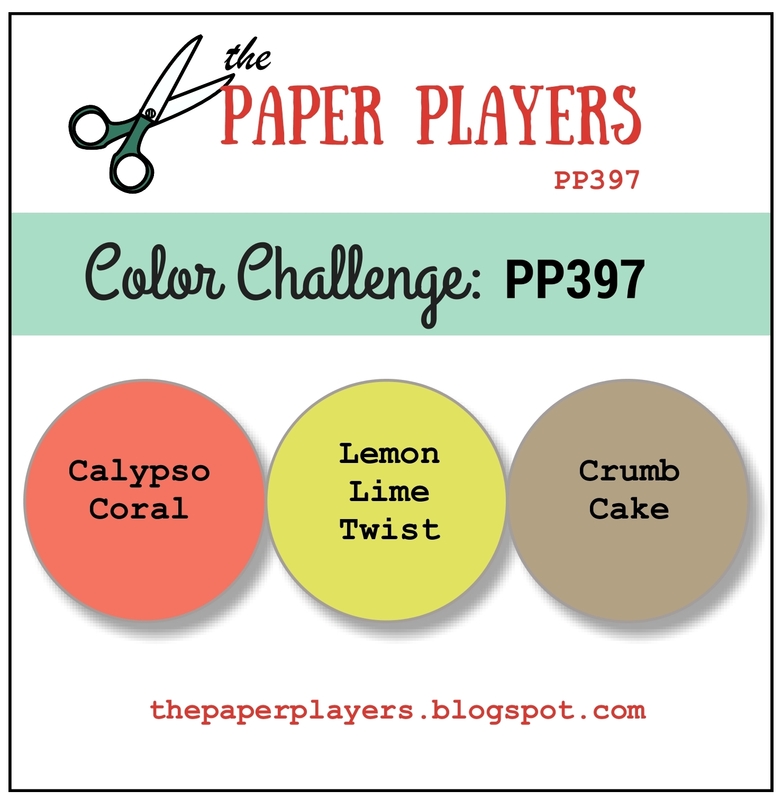 In looking at some current challenges I saw that The Paper Players had a color challenge this week so I decided to dive in and play along! Thanks for stopping by!! Hope you have a wonderful day! Danni, I am so glad you were inspired to join our challenge this week. Your card is beautiful and the silhouette stamping is gorgeous against your sunset. 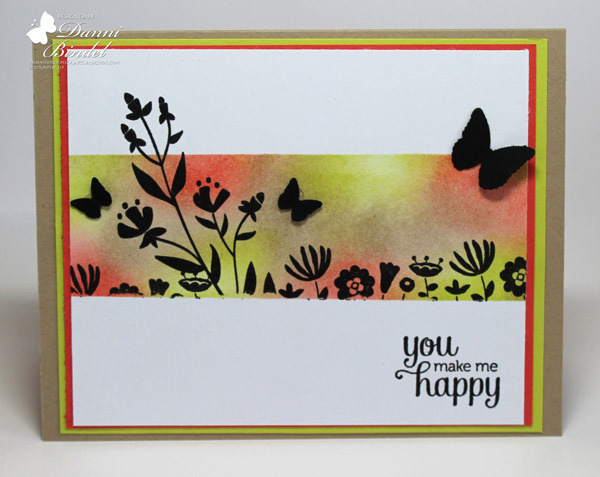 Beautiful card and so glad you joined us at The Paper Players! 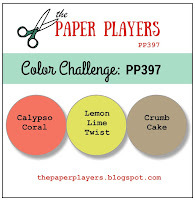 Congrats on winning the PP397 color challenge, Danni! Your submission definitely "caught [my] eye," as well!